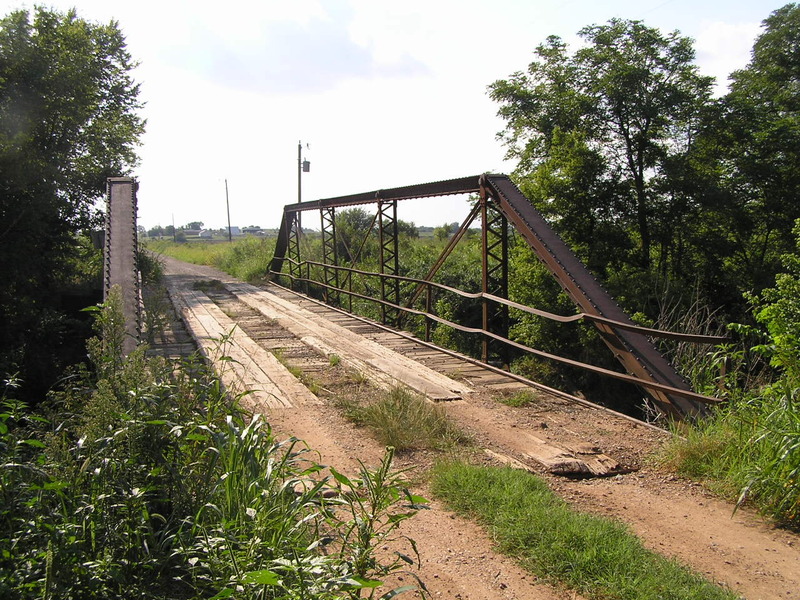 Otoe Creek Bridge, Noble Co. Built in 1909 by J. 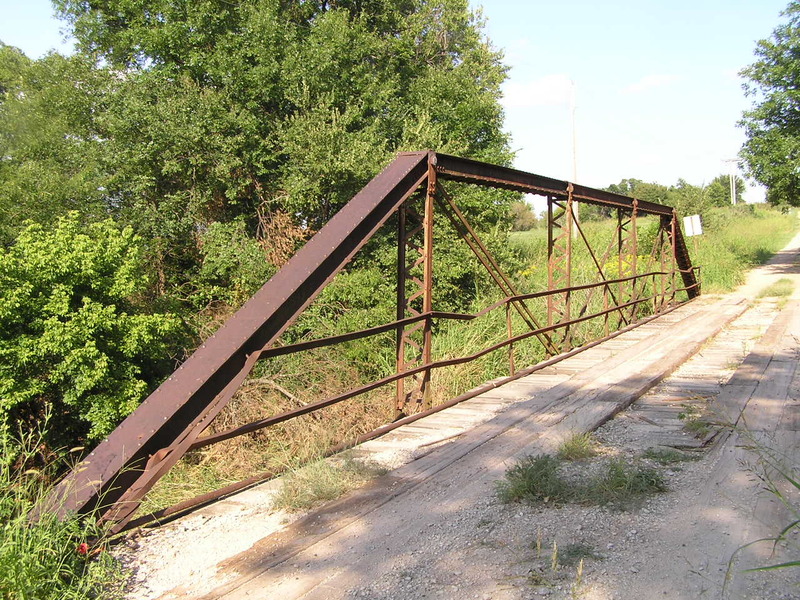 A. Crook, this 100-foot Pratt pony truss, above and below, has been carrying Maverick Road for 100 years. Above, though the retaining wall behind them has probably been redone, this bridge still stands on lally columns, which are riveted steel tubes filled with concrete. 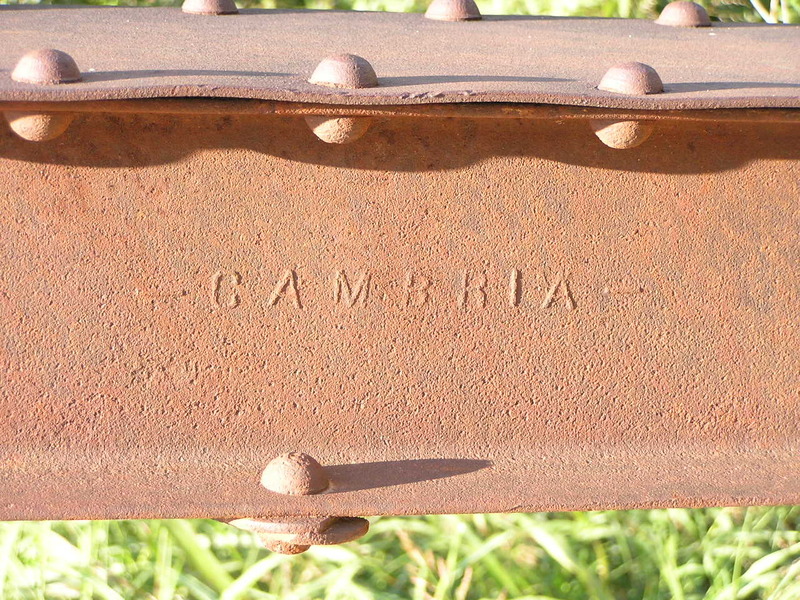 Below, Cambria steel mark on one of the endposts. 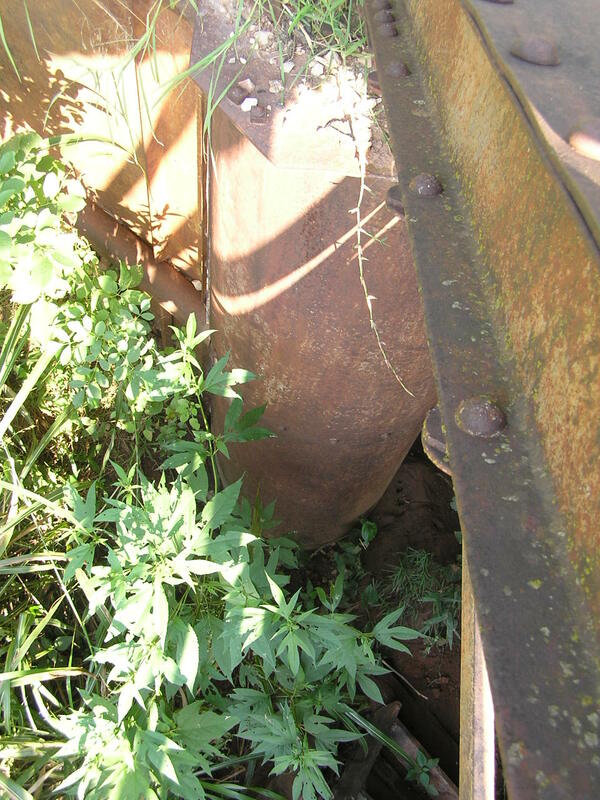 Above, a finial view of this rugged old bridge. 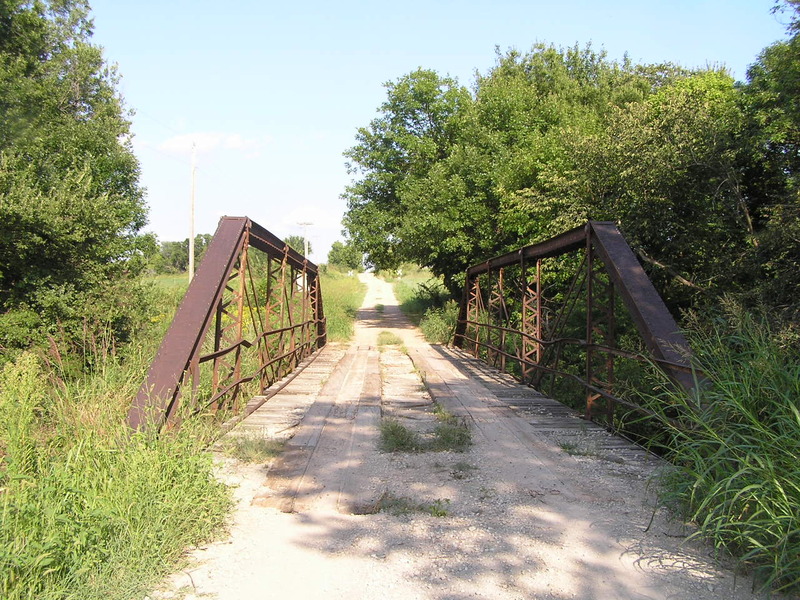 Many bridges like this were built in Noble County.